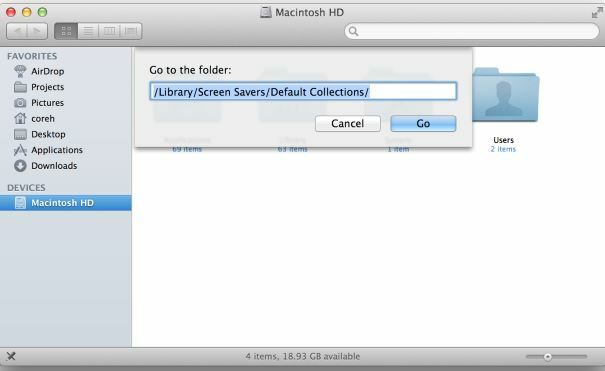 This question serves to share and collect the enhancements that make a large difference to how you use your Mac. Please post one feature per answer. Please also check to see if your answer has already been posted - duplicate answers will be deleted. To search answers for this question use inquestion:this (directly from the question page) in addition to your search terms in the search box in the upper right hand corner of this page. The best answers will not only list a feature, but provide details on how to configure that feature, and provide an image of how to use the feature to be more efficient or effective with Mavericks. The overhaul of the virtual memory system makes it clear that memory pressure is the primary factor to track and not how many free pages, inactive pages or overall virtual memory is allocated. The bottom panel is invaluable for diagnosing a slow machine and knowing whether to rule out memory contention as a cause of the slowness. After running your Mac for a week, you should reach a nice steady state like shown above and can know if adding more RAM or adjusting the programs you run will affect performance. 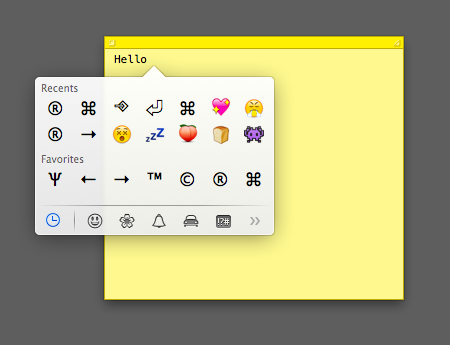 With a text field active, Control ⌃ + Command ⌘ + Space opens a characters panel including Emojis. The energy consumption view that collects 8 hours of history and graphs the charge level in your battery as well as showing each process that drained measurable amounts of energy is going to make squeezing extra productivity out of one charge much easier. Not only will developers (I'm looking at you Dropbox) know that they have to be better stewards of battery life, it makes it easy to see which apps support App Nap and even that a program that is quit now was responsible for using energy in the past 8 hours. This tool provides actionable information for users to better manage their experience when away from wall power on a portable Mac. This detail is quite hidden inside Activity Monitor, but Apple does expose the biggest users of energy in the menu bar for apps using significant energy. 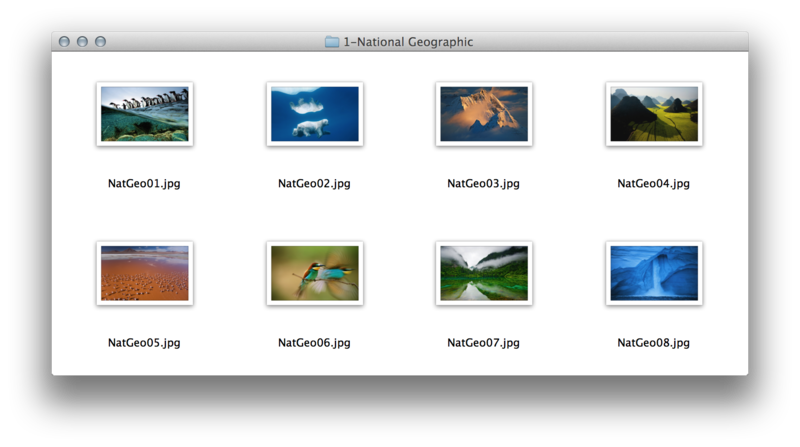 OS X ships with a bunch of really cool sample photos that are not normally available for use as desktop backgrounds. 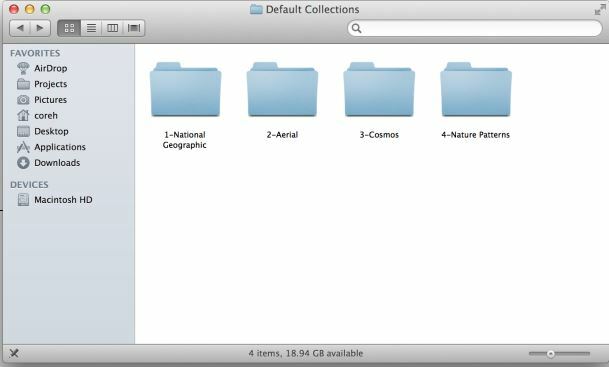 With OS X Mavericks, you can just navigate to your home folder, press Command+J to bring up the folder settings, and check the box next to "Show Library Folder" instead. Using multiple desktops on multiple displays is finally usable. Now I can switch desktops on my left hand monitor while the right hand monitor doesn't change. If you're using OSX Mavericks on a MacBook, tapping the power key briefly immediately puts your computer to sleep—a simple tweak that makes saving energy even easier. For the usual shutdown dialog, just keep holding for three seconds, or press control+power. As always, you can put just the display to sleep by pressing control+shift+eject or control+shift+power, depending on your model. You can now drag to rearrange the Dashboard to move it between your desktop spaces and full screen apps. It can even be dragged to alternative monitors, providing that "Displays have separate Spaces" is enabled in System Preferences → Mission Control. You can choose from a handful of times in the future to remind you about pending updates from the Mac App Store. Credit to this reddit.com/r/mac post. It's hard to beat getting an additional hour of use on a battery charge. I've been getting at least that much more use before having to plug in my 2012 MacBook Air. 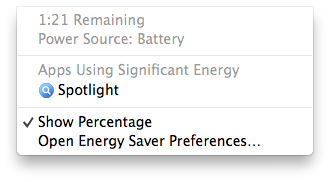 My experience matches up well with Apple's claim during the announcement keynote where the 13 inch Air from 2013 with Haswell benchmarked with another hour to an hour and a half of battery life just by installing Mavericks. 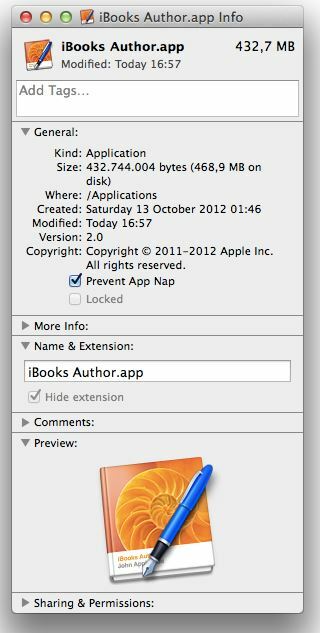 You may or may not know that one of the more discreet features in OSX Mavericks will be App Nap. Apps will enter App Nap when they’re completely hidden from view by other apps and when they aren’t actively working. This is a great way to reduce your running apps from killing your Mac’s battery life. Also, you may want certain apps to never enter App Nap. This could be true for apps that are important to you but sometimes perform long non-interactive tasks. Please note that said option won’t be there for apps that don’t support App Nap. Using the Show Desktop gesture, the motion of the windows now follows the motion of your fingers on the trackpad. No longer is it a set speed, you can move the windows at the exact speed of your fingers, and even pull them back half way through to cancel the motion. After Gatekeeper blocks an app, going to the relevant option in System Preferences shows the app name and a button that allows you to open the app. This means it is no longer required for new users to know that clicking Open from the right-click menu will bypass Gatekeeper. You can now preview PSD files (Photoshop Documents) directly in Safari without actually opening Preview, or even downloading the PSD to your Downloads folder. The Apple TV makes it easy to see on your TV the media content that is on your Mac, such as to stream videos or photos. In OS X Mountain Lion, you could also mirror your Desktop to the Apple TV, such as for presentations. OS X Mavericks takes that to the next step, treating the Apple TV as just another monitor, so you can extend your desktop onto an Apple TV-connected TV or projector. 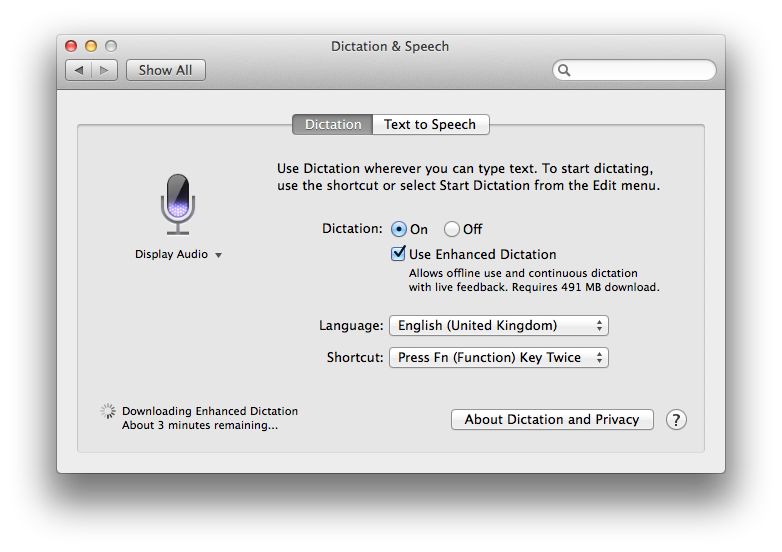 Enhanced Dictation allows offline use and continuous dictation with live feedback. Great for those without Internet connections and those not wanting to have their dictation processed outside of their network. 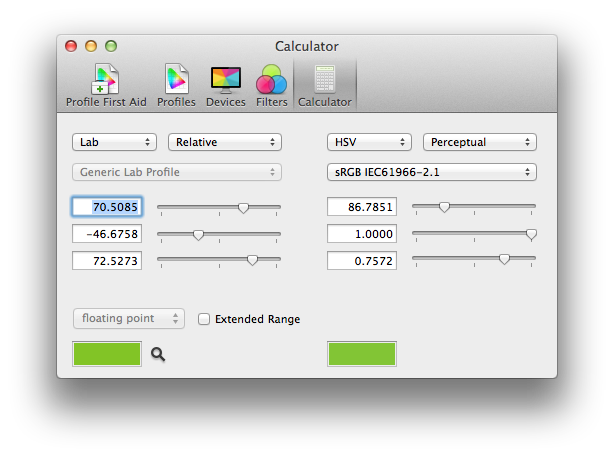 This little known included application continues to improve with a new colour Calculator. 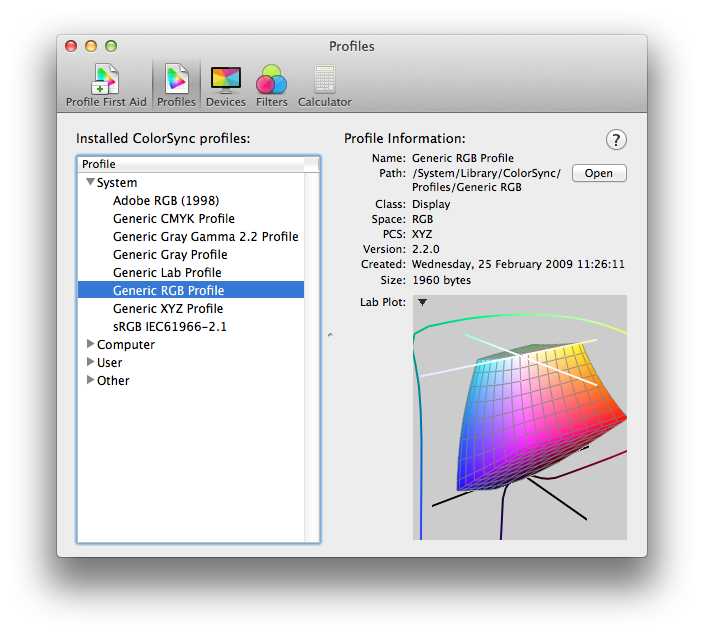 Not new to Mavericks but certainly hidden, ColorSync continues to provide interactive 3D colour space visualisation for profiles. OS X Mavericks adopts iOS's Maps app. That by itself is not a huge deal, even though it's nice to have an alternative to Google's Web-based maps. But what's cool is the ability to get driving directions and send them to your iPhone or other iOS 7-based device. They show up in the iOS Maps app, ready for you to follow while driving or walking, and they remain in your bookmarked directions for access later if needed. It is pretty awesome having a menu bar on each screen and being able to full screen apps on a per screen basis. I never used full screen mode before since I always had the linen background on my other screen. If you use Launchpad, any new apps you download will sparkle to denote their newness. Once you acknowledge them, or they've sat there neglected for awhile, the sparkles will disappear. 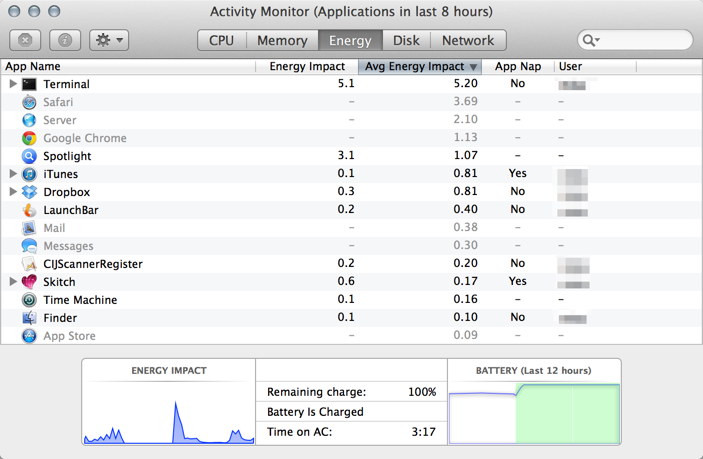 New Safari setting to power off plugins when inactive to save battery life as featured in this Ars Technica article. I have high expectations that this will stop the issues occurring when my girlfriend has 15 tabs with flash players open in the background while working in other programs. The Dock starts on your main monitor, but if you put your cursor in another monitor, go to the bottom of the screen, and then keep moving down, the Dock will pop up (and disappear from wherever it was previously). This is really nice if your "main" monitor isn't actually. The motion has to be pretty straight down and surprisingly long - it's a bit finicky. 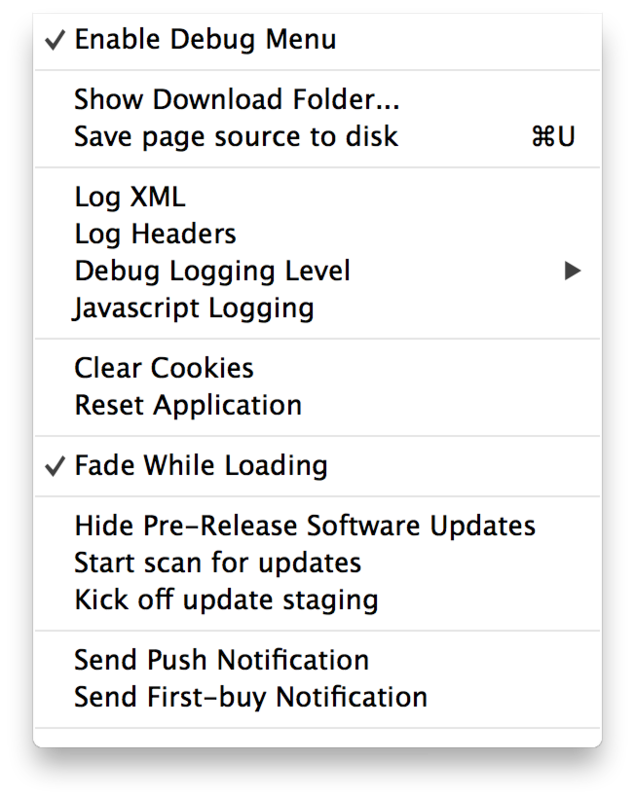 In Mountain Lion and earlier, any window content that doesn't fit in the current frame of the window (like a long webpage) isn't drawn until scrolled into view. 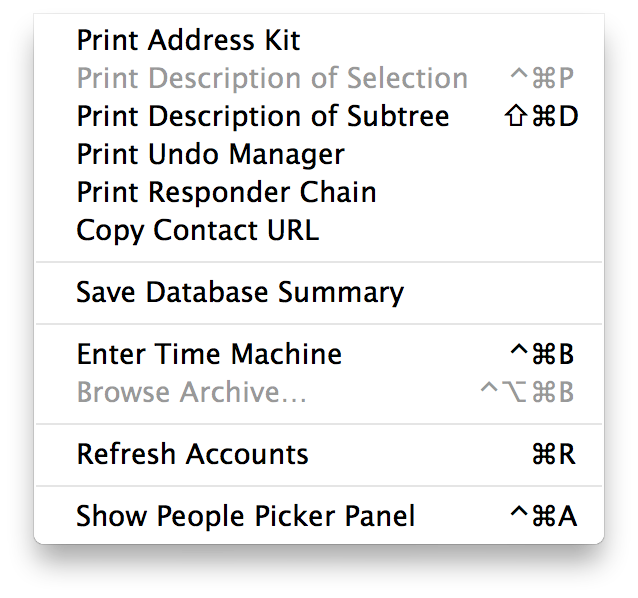 In Mavericks, this offscreen content is "pre-rendered" during idle time, which results in vastly improved scrolling performance (especially noticeable with complex documents or webpages). Notification Center doesn't see a whole lot of improvement this time around, but the update does mess with your settings a little bit. 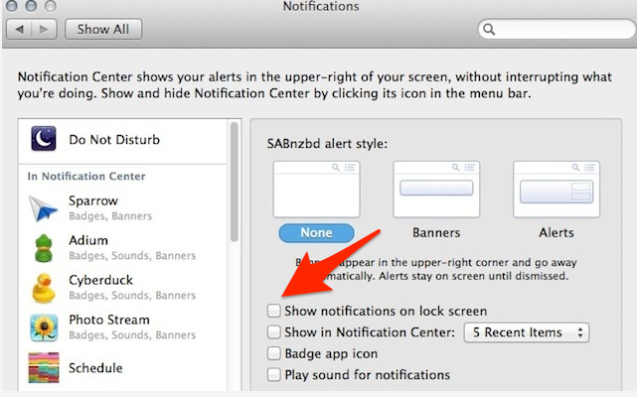 If you're not a fan of getting a million notifications, you're going to want to pop into System Preferences > Notifications and take a look at the new options. The big one to check is "Show notifications on lock screen." If you don't want your emails or anything else showing when you're computer is locked, uncheck this box. You can now zoom pictures in QuickLook using the default zoom gestures: Pinch In & Pinch Out, as well as panning with two fingers. The debug menus have been updated for various apps. Replace true with false to remove. 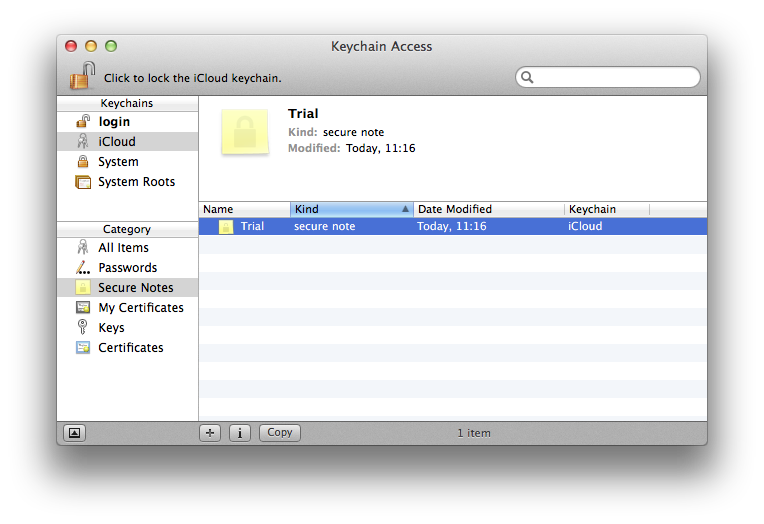 iCloud Keychain stores and syncs Secure Notes across Macs. The new iCloud Keychain stores website usernames and passwords, credit card numbers and Wi-Fi network information and keeps the data up to date across all of a person's Apple devices, including the iPhone and iPad. In a multi-monitor setup, Notification Center now appears on the monitor where your cursor is currently located. This is a nice improvement if you invoke it while you're working on a secondary monitor: it appears on the monitor you're looking at, rather than the primary. Not the answer you're looking for? 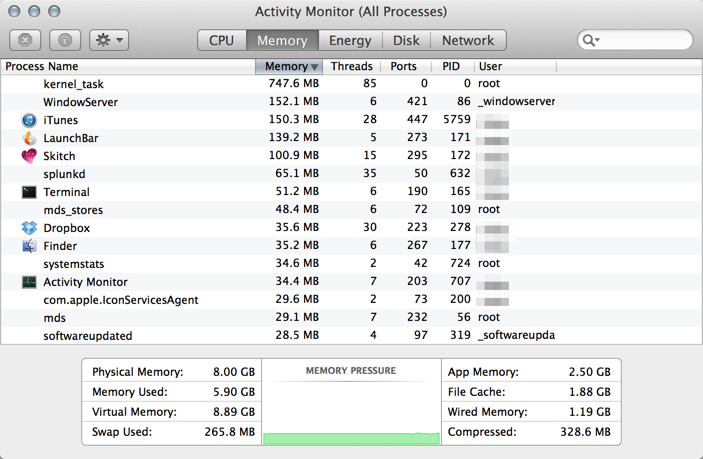 Browse other questions tagged macos hidden-features mavericks . Are there any improvements in the Mavericks Terminal app? How can I force Safari to Save As webpage? Why is a command line change to ~/Library/Preferences/com.apple.LaunchServices.plist not effective immediately?